As intrigue about the next generation of Apple and Samsung smartphones continues to build, the latest rumors suggest that the release schedules may be reversed this time round. 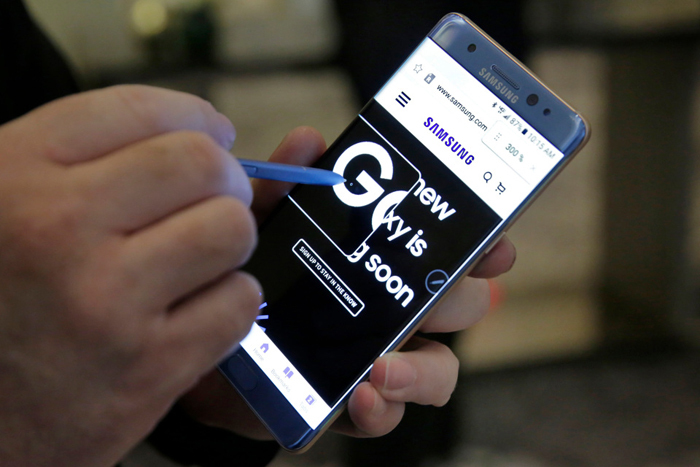 Reports have indicated that Samsung is considering releasing its next generation Samsung Galaxy Note 8 ahead of the iPhone 8. Whispers from Korea suggest that Samsung is rethinking its design schedule for the Galaxy Note 8, as it believes this will be of commercial benefit to the phablet. The Korea Herald suggests that Samsung will unveil the Galaxy Note 8 ahead of a late August release date, in a policy that it describes as being “strategically ahead of the debut of the iPhone 8 in September”. Continuing the revelations on this critical iteration of the Galaxy Note series, the Korea Herald suggests that the Galaxy Note 8 will benefit from a dual-lens camera located on the rear of the device. This will continue the photographic battle with Samsung’s great rival Apple, with the Californian corporation expected to include similar camera provisions in the iPhone 8. Speaking of the Samsung Galaxy S8 and Samsung Galaxy S8 Plus, Samsung has also reportedly begun work on this next generation Samsung Galaxy S9, well ahead of its usual schedule. Reports from close to the Samsung supply chain even suggest that the Samsung Galaxy Note 9 is already under development, even a few months before the Galaxy Note 8 has emerged. There has been no official indication from Samsung regarding the Galaxy Note 8, so we will not know the release date of this device for some time. But Apple’s iPhone range has been released in September over the last few years, although reports have suggested that this device could be delayed due to problems with sourcing OLED display panels.